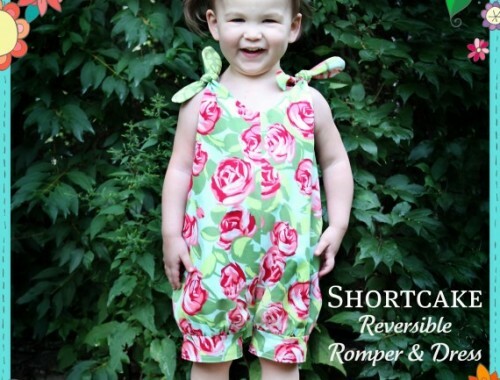 The Shortcake Reversible Romper and Dress is an adorable, quick-sew essential. Both garments are fully reversible and tie at the shoulder. 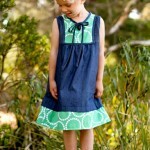 The dress can easily grow with your child by turning it into a top. Take these outfits from summer into fall by layering them with a long-sleeve shirt and pants/tights. Neither garment includes any buttonholes or zippers, so this pattern is a great introduction to sewing for a beginner and a fun pattern to play around with for the more advanced seamstress. 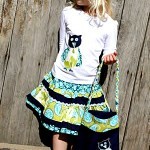 Romper and Dress Patterns included in size 6 month through 6 years.